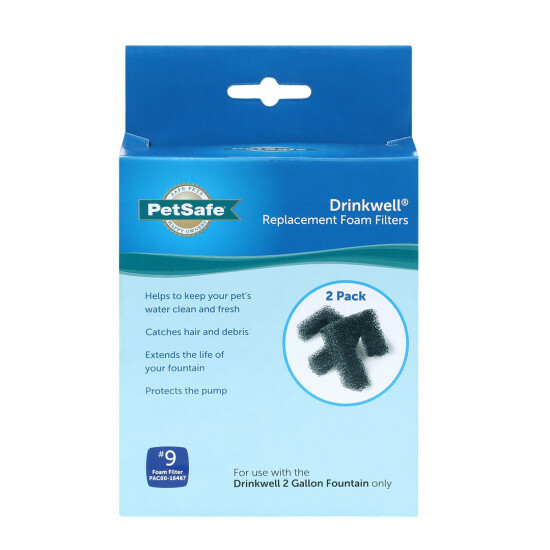 The PetSafe® Drinkwell® Replacement Foam Filters trap any large debris and hair in the water before they reach the pump, providing cleaner water to your pet. 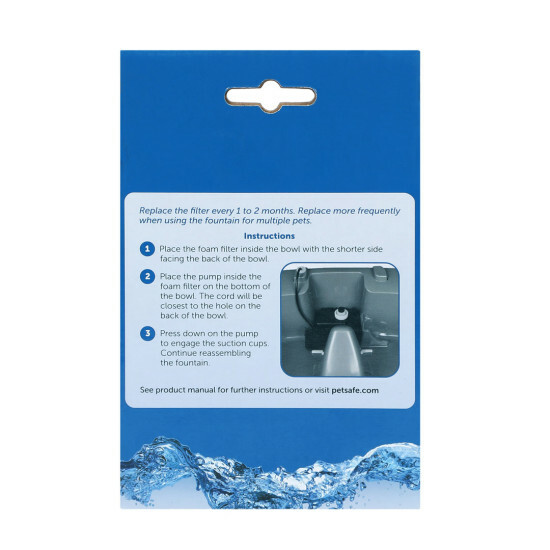 These foam filters help keep the pump clean in between fountain cleanings and help maintain the fountain's flow rate. 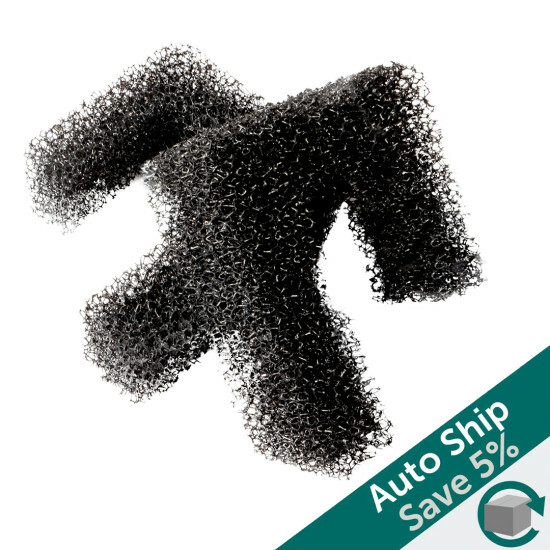 These filters are sold in a 2-Pack and are compatible with the PetSafe® Drinkwell® 2 Gallon dog and cat water fountain.